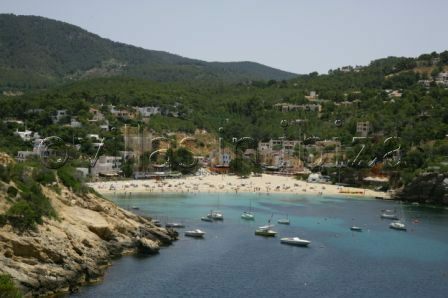 Cala Vadella is one amongst many of the spectacular beaches found on the Islands west coast. The bay has a small beach with quaint houses built around it, all different colours and unique in style. There are stalls and shops located along the back strip of the beach selling typical Ibiza goods with Tie die, Braids, Baskets and not to forget a few great restaurants. As well as enjoying the natural beauty, Cala Vadella is a great place to explore the quieter yet popular hippy side to Ibiza.